Dani Alves’ fans will enjoy exclusive 360º & VR custom made content on the official Dani Alves 360º/VR channel available on The Dream VR app on mobile, TV and VR headsets. 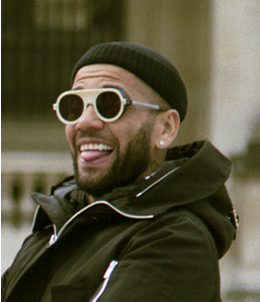 At the beginning of 2019, subscribers to the Dani Alves 360º/VR channel will enjoy an immersive experience and ongoing content with intimate moments of their favorite soccer star and also have access to one of a kind contests and special offers, such as products exclusively designed for “Dreamers”. The channel’s subscribers who always seek the ultimate fan experience!